One of my all time favourite autobio comix practitioners is Eddie Campbell, he of From Hell and Bacchus fame. Most of his autobio stuff has been collected in Alec: The years have pants which includes The King Canute Crowd and How To Be an Artist. He is also a prolific blogger and always has interesting things to say on comics, music, art and life in general. Over the last few weeks he has been analysing romance comics, a genre I knew practically nothing about. There is some amazing work and he has inspired me to check out some books starting with Setting the Standard: comics by Alex Toth. 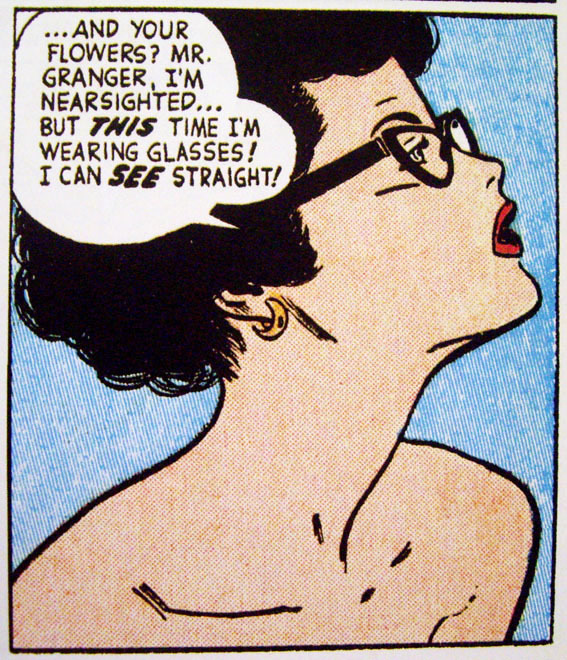 I lifted the above panel from Eddie’s blog, it’s from a Toth strip from 1953 and is a most beautiful thing.